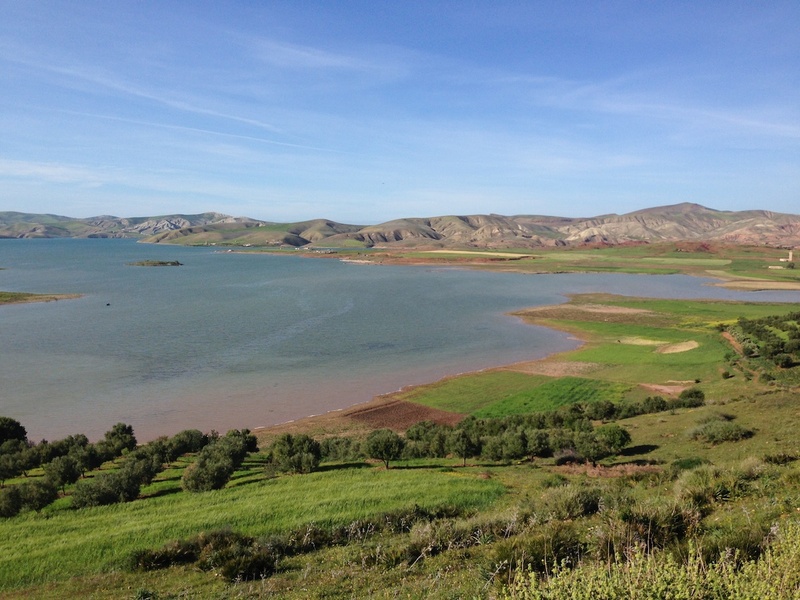 A seven-day tour of true discovery – which begins and concludes in Casablanca – and takes in the High Atlas Mountains and spectacular landscapes of the Southern Valleys. You will explore the fascinating history, culture and architecture of Fès and Marrakech, selected UNESCO World Heritage sites and enjoy the experience of camel trekking and a memorable night in the Sahara. Our Magnificent Morocco representative will meet you at the airport and provide you with an introduction to your tour while we drive to Fès, the spiritual capital of Morocco. 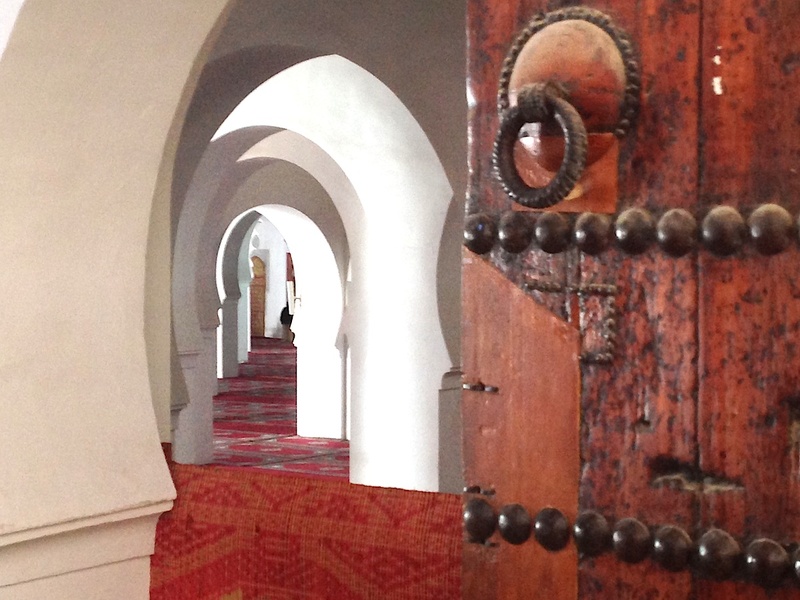 After our 4.5-hour journey we arrive at your riad for you to enjoy the experience of your first night in Morocco. 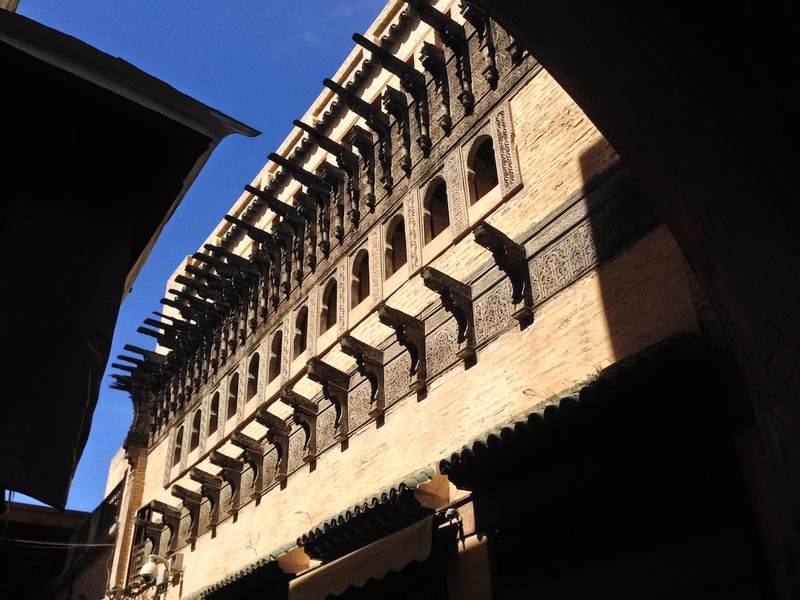 After breakfast in your riad, your adventure begins as you start exploring the oldest city in Morocco. During the morning, our experienced guide will share many of the city’s hidden treasures and architecture with you as your gaze is pulled left and right with the movement and sounds of this piece of living history. You’ll see the Royal Palace gate and the walled Jewish quarter dating from the 14th century. 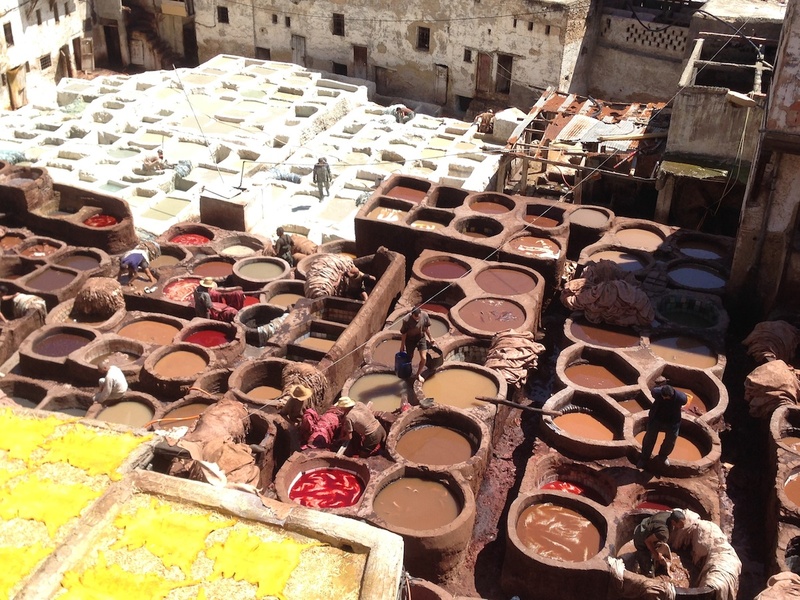 There’s more culture and history to marvel at as we visit the famous Al Qaraouine University (regarded as the oldest university in the world) and the 11th century Chouwara Tannery – one of the most impressive sites (and smells) you will experience on this tour! 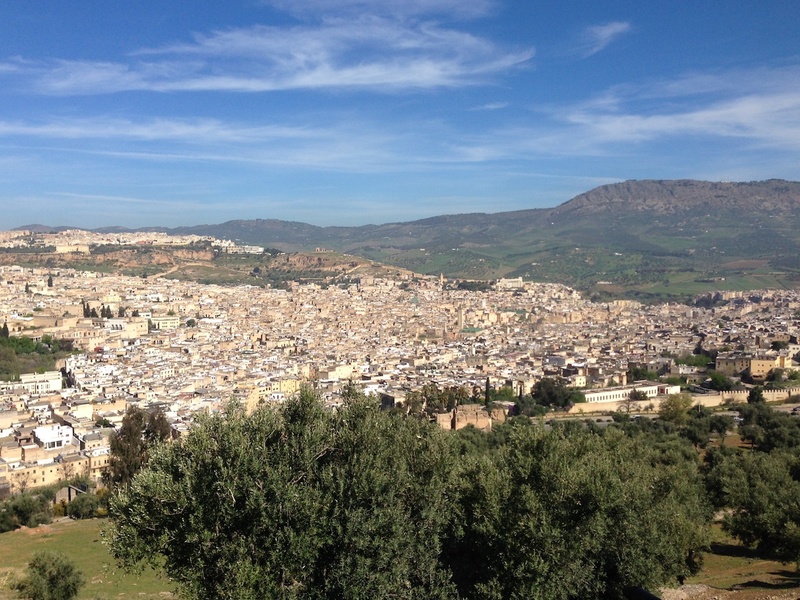 Before lunch there will be time to see the Attarine Museum and the Mausoleum of Moulay Idriss after which we visit a local tile-making cooperative before ascending to a superb vantage point to enjoy a wonderful panoramic view of the old Medina of Fès. In the remainder of the afternoon, you are free to explore at your leisure. 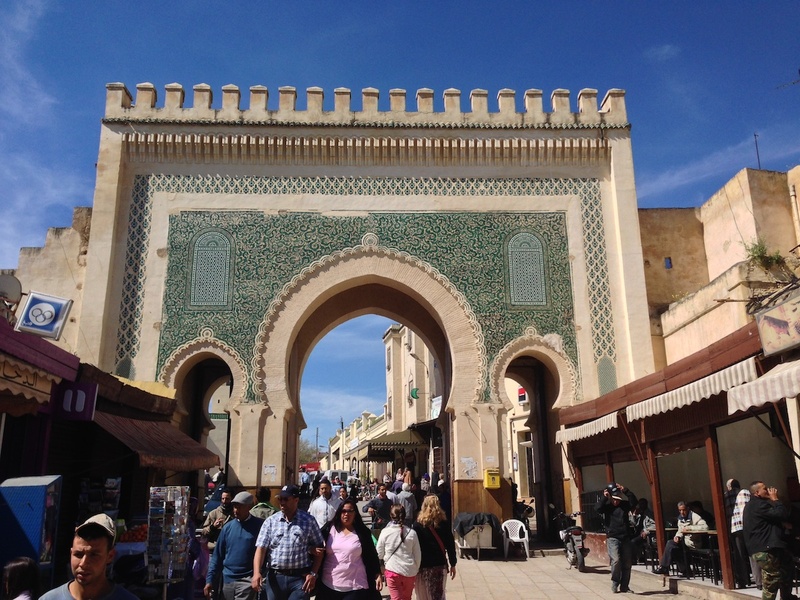 Just remember, there are more than 9,000 streets in the Medina – some of which are less than 1 metre in width – so it’s worth keeping a note of your bearings! Overnight, with dinner and breakfast at your riad in Fès. 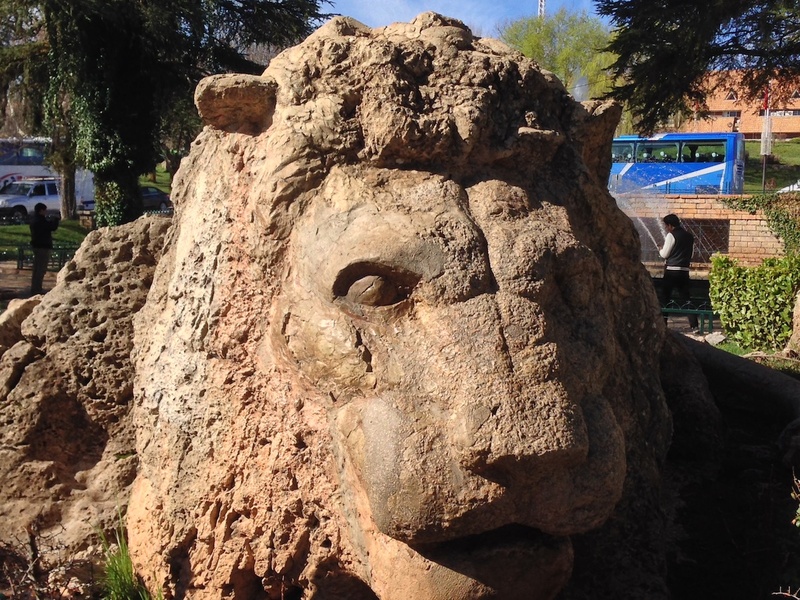 After an early breakfast at the riad, we head south towards the Middle Atlas Mountains with the summer retreat and winter resort of Ifrane and the town of Azrou – well off the beaten tourist track – which takes its name from the large volcanic outcrop in the centre of the town. As our journey continues, we pass through a forest of mighty cedar trees. 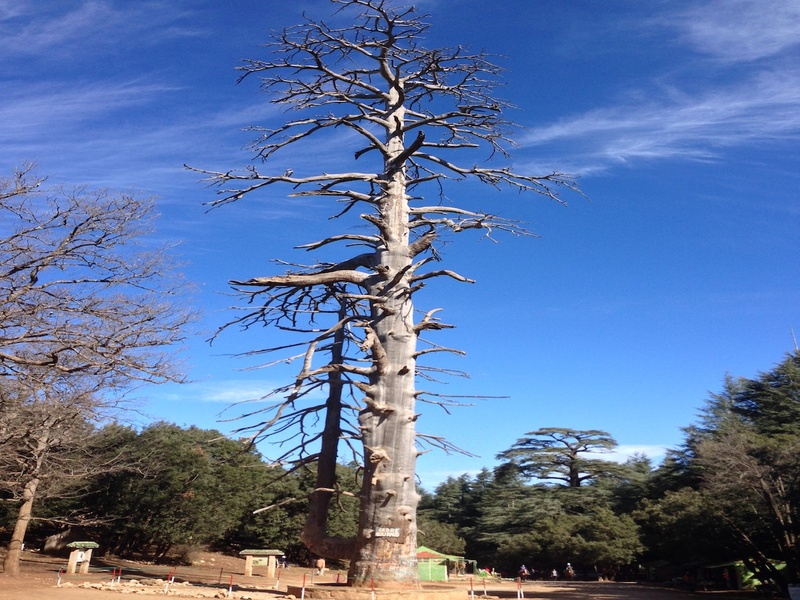 You’ll get to take photographs of the Cedar Gourand, reputed to be around 800 years old. 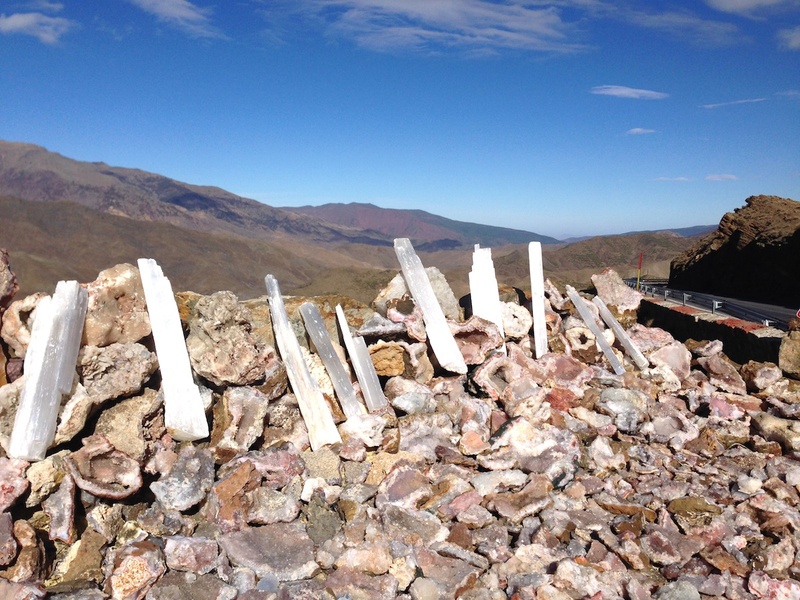 Just keep your eyes peeled for the Barbary Macaques who have made this their home! 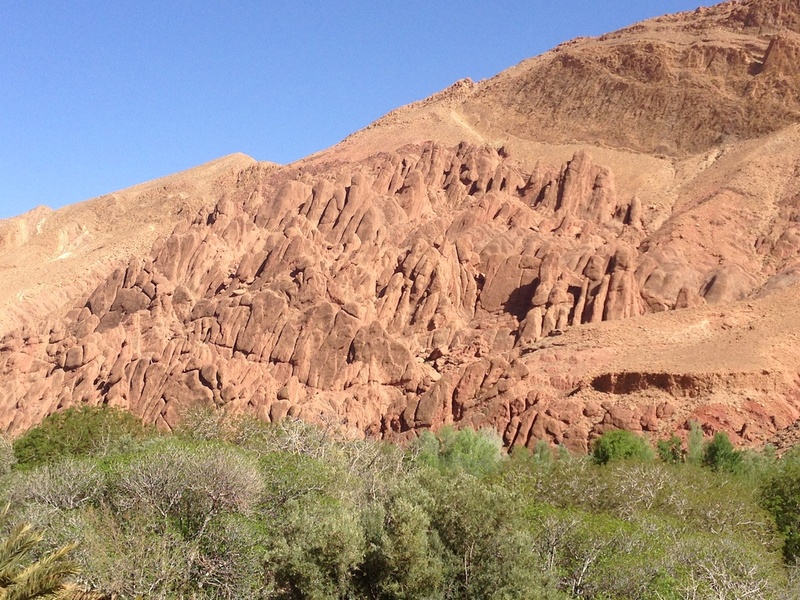 We break through the mountains at the Tizi Ntalghamt Pass and follow the magnificent Ziz Gorges, carved through volcanic rock, as we head towards Midelt. The scenery is changing constantly and you’ll start to see hints of the desert landscape as we approach the city of Er-Rachidia. After lunch we continue through the verdant Ziz Valley, peppered with Berber villages, passing through Erfoud and Rissani before arriving at an auberge on the edge of the desert at Merzouga. 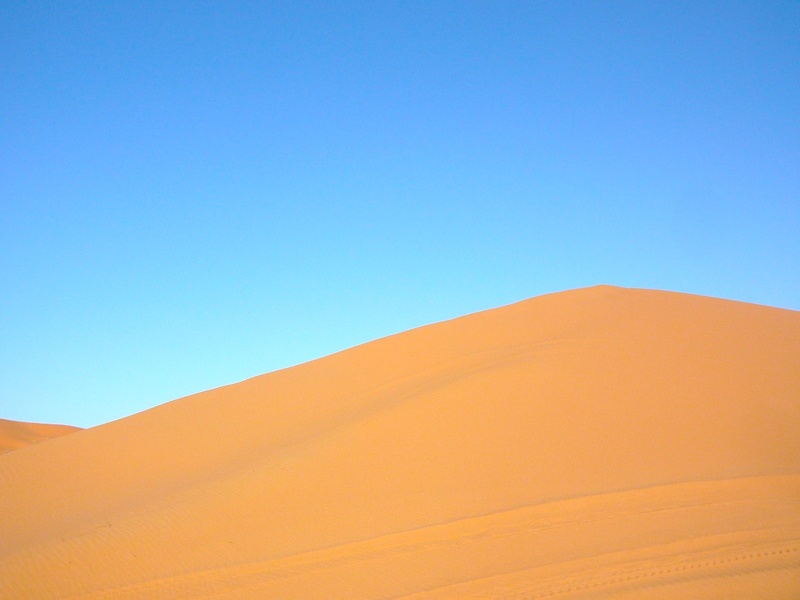 Here, you can check your main luggage in to your room and, with an overnight bag containing your basic essentials, begin the 1.5 hour camel trek which takes you to a Berber camp in the middle of the Erg Chebbi dunes enjoying a spectacular Saharan sunset on the way. 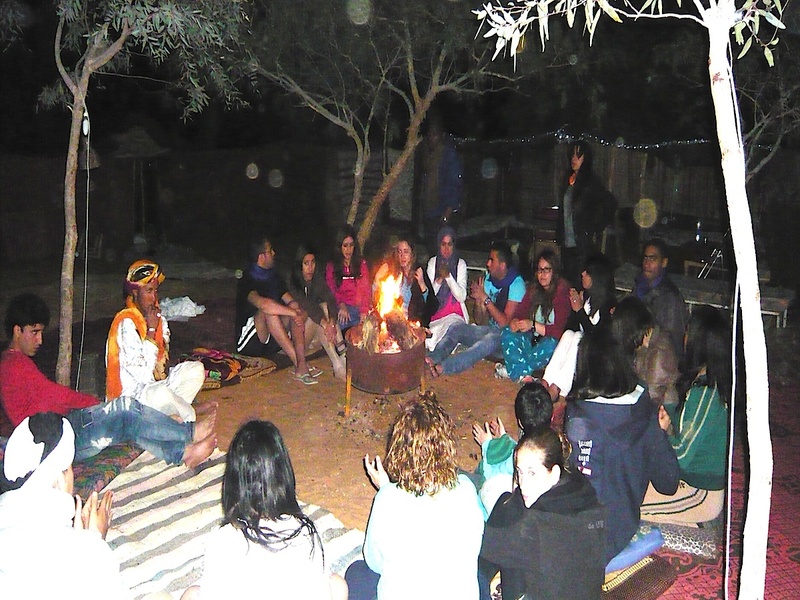 Our Berber guides will not only prepare a sumptuous, traditional meal but also invite you to join in with their special brand of music and entertainment, until the final embers of the campfire fade away under a canopy of stars. 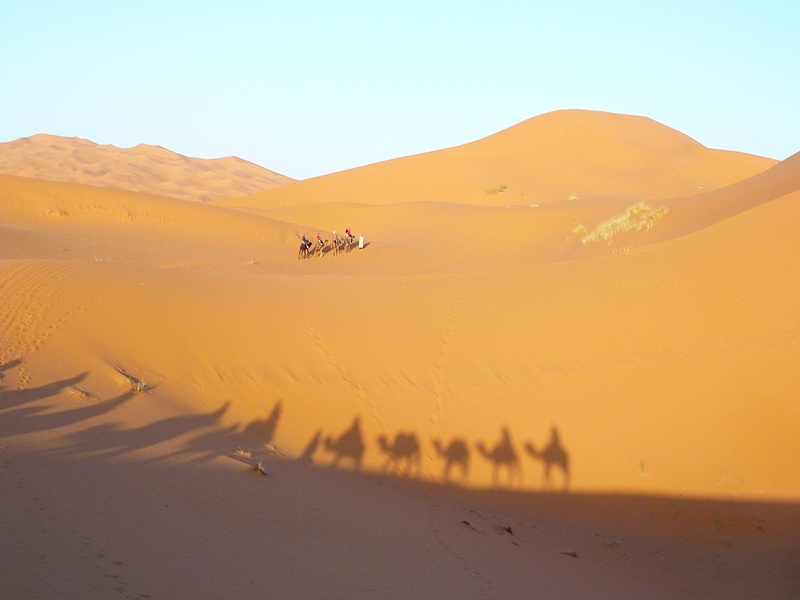 After an early start to catch the sunrise over the dunes, your camels will be waiting to help you return to the auberge at Merzouga where you can shower, change and take breakfast. 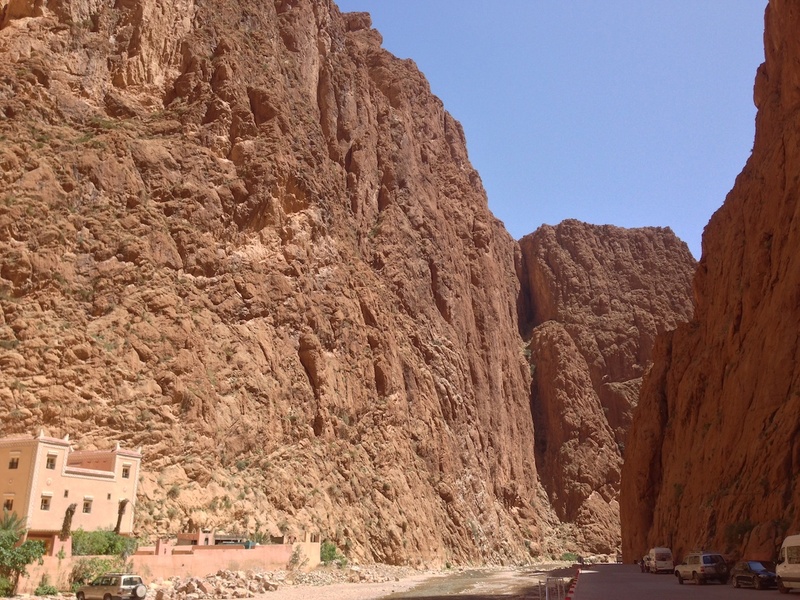 We depart for the Todra Gorge, en route passing the most sought after dates in Morocco, which are grown between Rissani and Erfoud. 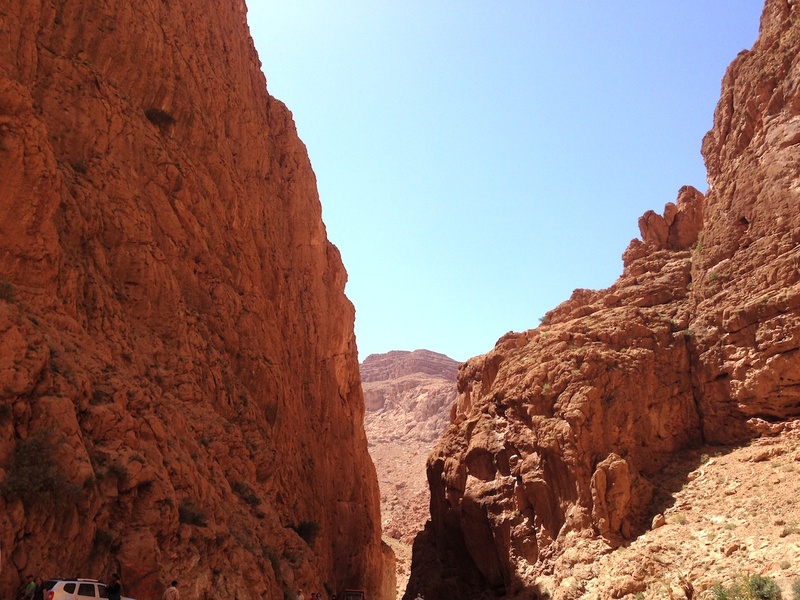 As we climb into the High Atlas Mountains and through Tinghir we begin our approach to the highest and narrowest gorges in Morocco. There will be ample time to explore and take photographs, as well as enjoying a drink or lunch at one of the restaurants that is squeezed into the jaws of the gorge. Refreshed and inspired, we set off for more of nature’s wonders in the Dadès Gorge, including the mind-boggling rock creations of the Tamnalt Hills. Overnight in the heart of the Dadès Gorge. A traditional Moroccan breakfast will set you up for the journey through the Rose Valley (most fragrant in April and May) and the town of Kella Mgouna an important centre for the rose growing cooperatives throughout the valley. 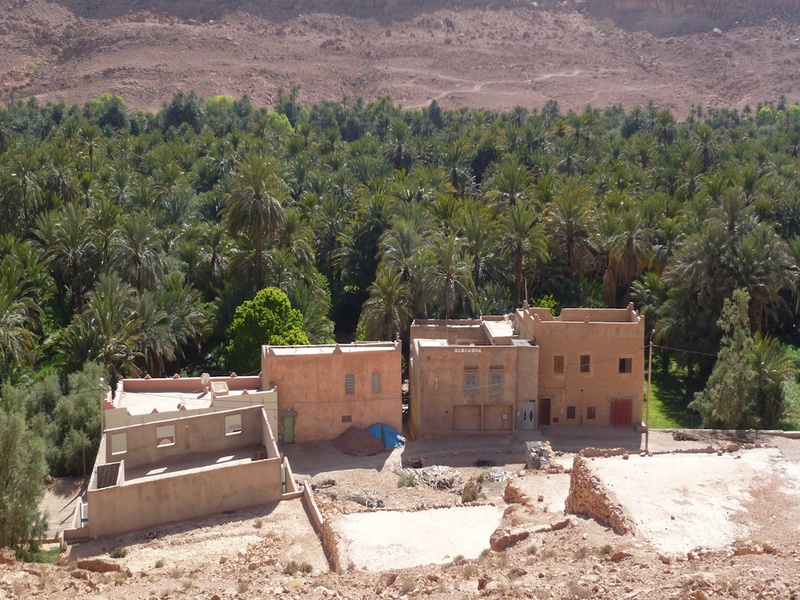 Dates, figs and many varieties of vegetables can be seen growing among the patchwork quilt of allotments that have been tended for centuries by the Berber villagers here. A testimony to their dedication and innovation along the Road of a Thousand Kasbahs which takes us onwards to Ouarzazate, the “Hollywood of Africa”, before reaching Aït Ben Haddou. There are few more magical locations than the largest Kasbah in Morocco where you might choose to spend time over lunch before our local guide treats you to a professional tour. The historic ksar is one of the iconic images of Morocco and, not surprisingly, the backdrop for countless well known movies including Lawrence of Arabia, Gladiator, The Jewel of the Nile and Cleopatra. 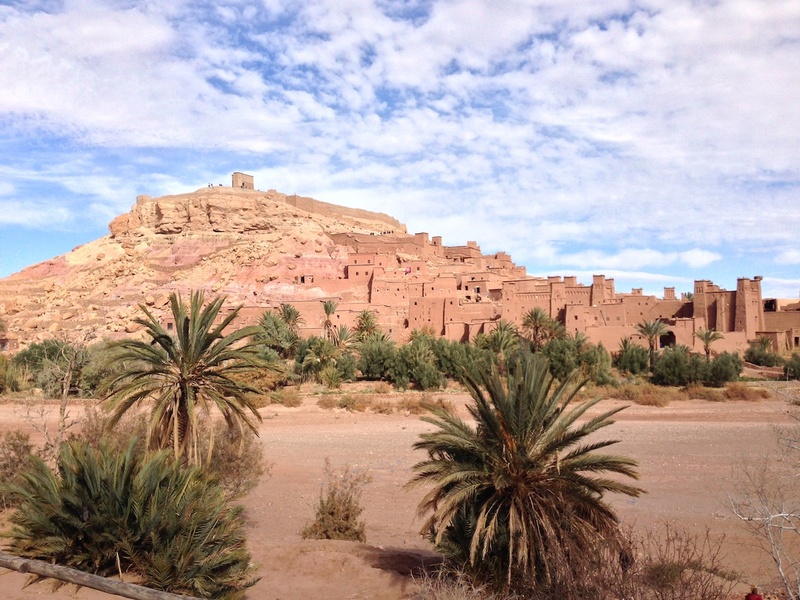 With the Kasbah that evolved around it, Aït Ben Haddou’s commanding position in the Ounila Valley served as an important trading post along a former caravan route from the Sahara to Marrakech and beyond. It’s then time for us to follow our own route through the spectacular scenery of the High Atlas Mountains and the majestic Tizi n’Tichka Pass at 2,260m, stopping for photography along the way and calling into an Argan Oil cooperative to see first hand how the famous oils and cosmetics are produced from the nuts and berries of the Argan tree. We will arrive in Marrakech late afternoon where we will show you to your accommodation and arrange to see you in the morning. 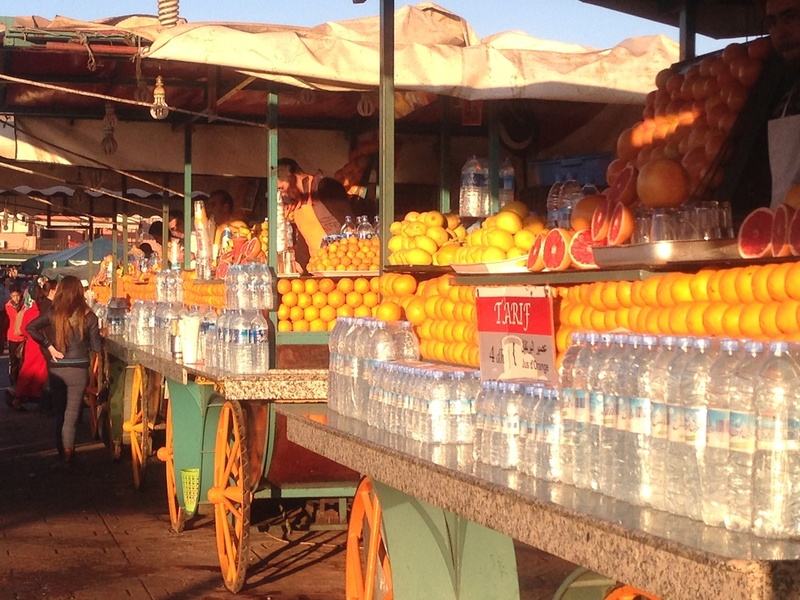 Our professional guide will accompany you throughout the morning as we explore the magic and mystique of Marrakech. We begin at the Medina, contained within the city’s giant 12th century sandstone walls. We take in the Saadian Tombs that remained undiscovered and preserved for hundreds of years and where some 60 members of the Saadian Dynasty are entombed. Nearby, is the Badi Palace - now largely in ruins but still worth a stroll around – and the Bahia Palace, dating from the 1800s, which offers an insight into the opulent lifestyle of a former Grand Vizier of Marrakech accompanied by his wives, concubines, children and servants. As we make our way towards the Jemaa El-Fna square, we visit the Dar Si Saïd Museum which offers an inspiring glimpse into Moroccan history with its collection of artefacts including woodcarvings, musical instruments, weapons, carpets, clothing, pottery and ceramics. Approaching Jemaa El-Fna square, it soon becomes obvious why this unusual location has been a UNESCO World Heritage listed site since 1985. 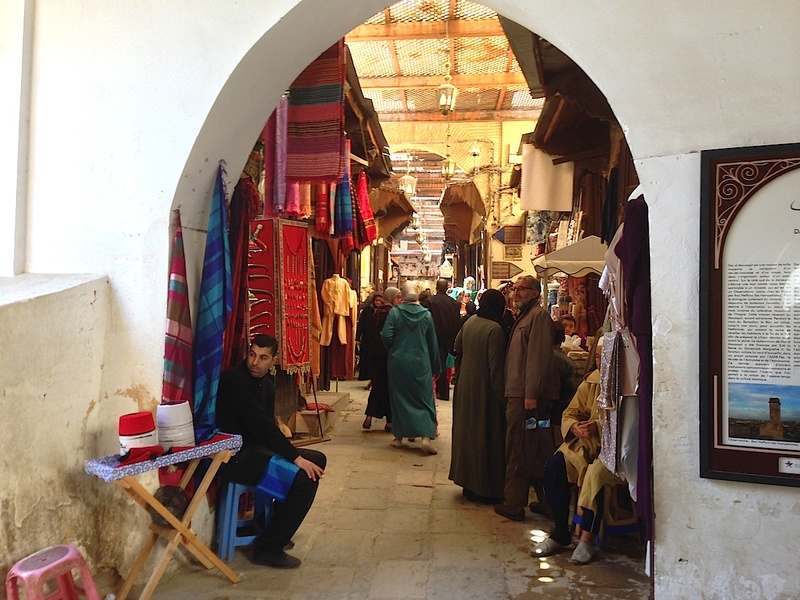 With its origins as a trading post and the town’s public arena for beheadings - and adjoining the largest traditional Berber market in Morocco - you can still feel the history and the rhythm of this melting pot of cultural diversity. 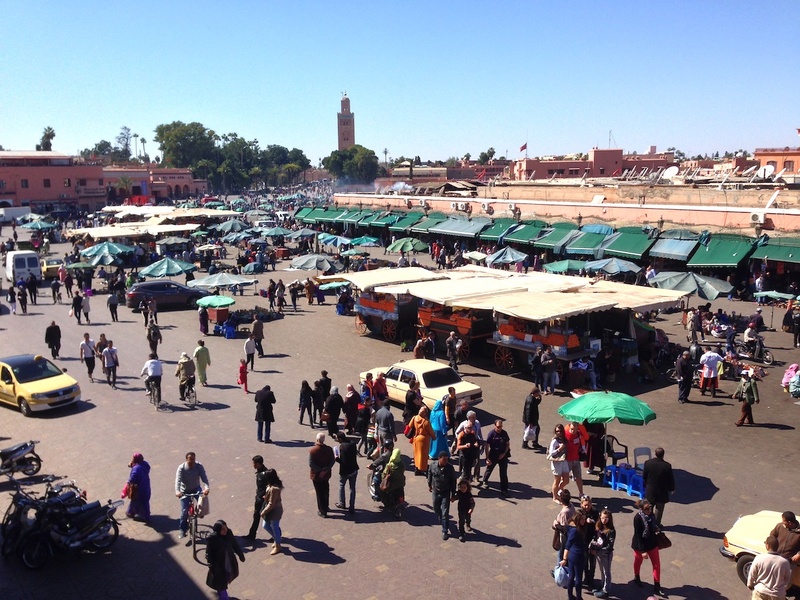 Impromptu market stalls compete with storytellers, snake charmers, monkey trainers, acrobats, magicians and musicians for your attention – but there are many cafés sprinkled around the square with great vantage points from where you can observe all the activity with suitable refreshments. 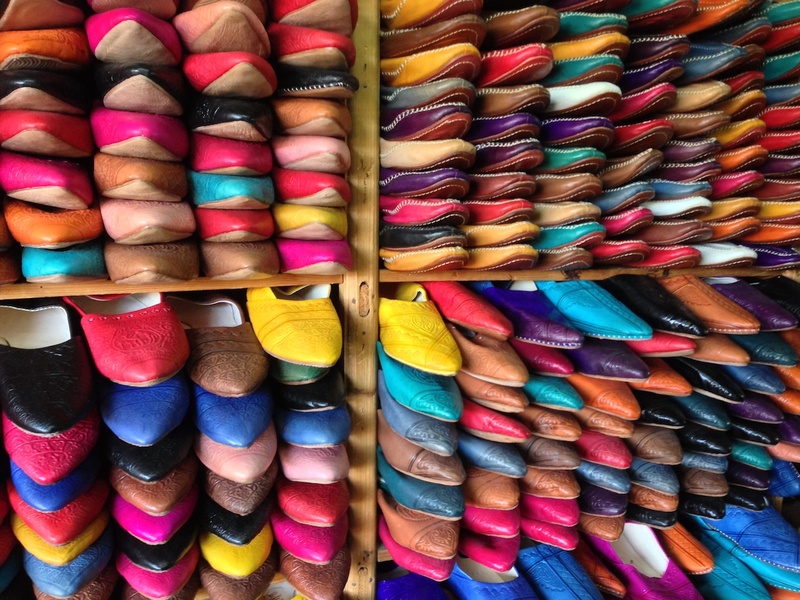 Of course, no visit to Marrakech would be complete without venturing into the souks. 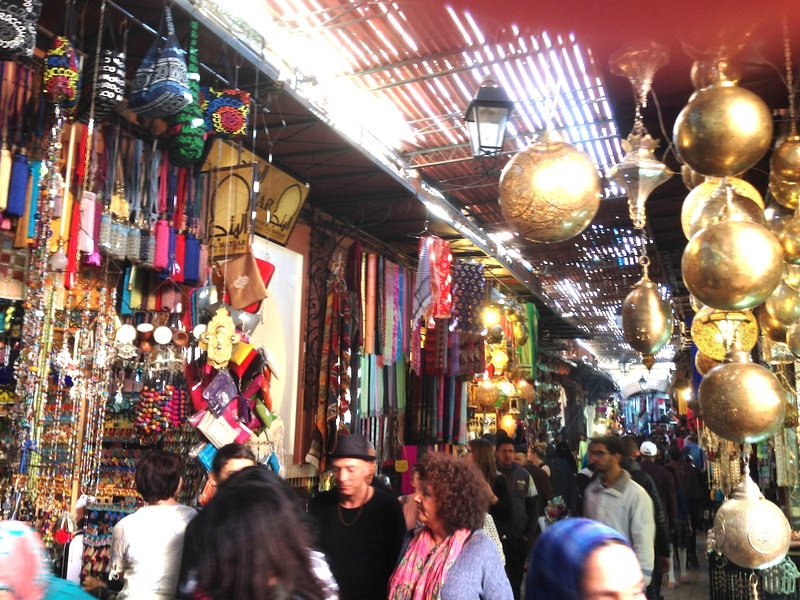 Your guide will help you navigate and discover the secrets of the souks and when you are ready will leave you to explore on your own and pit your bargaining skills with the artisans and traders offering all manner of locally produced merchandise. Shoes, spices, herbal remedies, leather goods, lanterns, woodcarvings, ceramics, jewellery, carpets and pottery…and that’s just in the first alleyway! Later in the day you are free to explore on your own or simply put your feet up back at your hotel or riad and browse through some of the hundreds of images you will have captured so far. 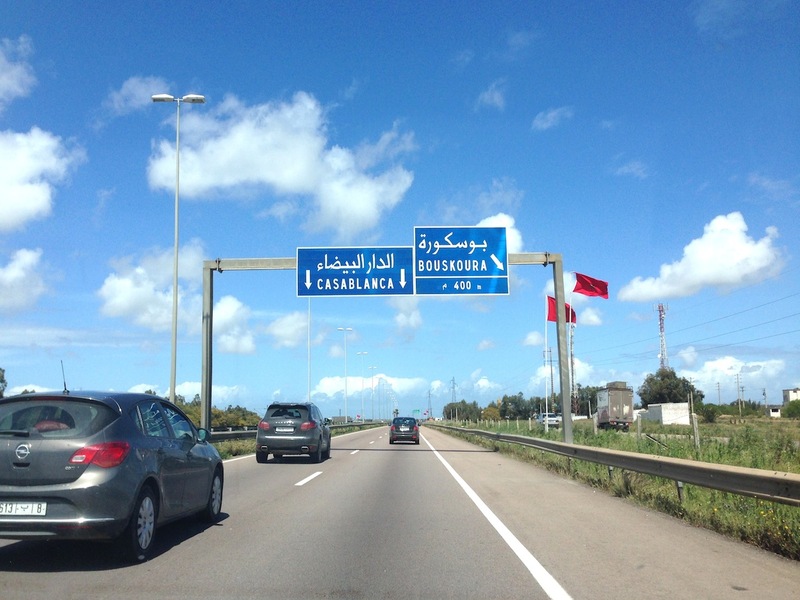 Depending on the time of your flight, we will meet you at your hotel or riad to assist with your transfer to Mohammed V Airport or accommodation in Casablanca. As with many of our tours, this itinerary involves a significant amount of travelling and walking, often on uneven surfaces. Please think carefully about the personal mobility (especially young children) of those in your group and the suitability of this tour for them before booking. Our Reservations Team will be happy to advise you on this.